HYGEIA Group proceeded with a significant initiative to fulfill the needs of the Hellenic Coast Guard, as well as the men and women who offer their invaluable services to the country and society in general. 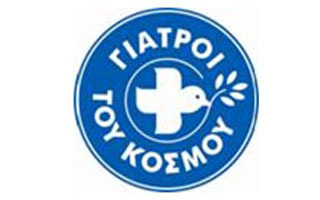 In 2013, acknowledging the social contribution of the Hellenic Coast Guard, HYGEIA Group actively contributed to these efforts. It offered a fully-equipped ambulance to the Underwater Missions Unit, while it also provided staff training. It also undertook the regular maintenance of the vehicle. It further donated five Telemedicine Systems to be used on sea craft or remote facilities of the Coast Guard, while also offering training to the system operators, which was performed by HYGEIA’s medical staff. The Telemedicine Systems transfer medical data in real time to HYGEIA’s Outpatient Clinic. On a 24-hour basis, specialist doctors at HYGEIA monitor the vital signs of patients, such as heart rate, blood pressure, oxygen saturation, body temperature and respiratory rate. Moreover, the Systems allow direct communication with HYGEIA doctors, via video and sound, while they also transfer a high-resolution image of the patient to the HYGEIA consultation center, so that each individual incident may be treated accordingly. The use of an automatic defibrillator system for heart attacks is also possible. Lastly, it offered a full check-up to all the men and women serving in the Coast Guard, as well as a Family Health Card for them and their families, which includes special privileges (discounts, free medical consultations, etc) at HYGEIA Group hospitals.